Is your child studying for their GCSEs or A Levels? YOU'RE JUST SECONDS AWAY FROM THE ESSENTIAL STUDY SKILLS, LEARNING AND SUPPORT NEEDED TO ACHIEVE THE TOP GRADES - FOR THE WHOLE FAMILY! You are anxiously biting your fingernails in the background, trying to strike the fine balance between not nagging and not backing off completely. If you answered ‘Yes!’ to these questions then I’ve got the solution. My name is Lucy Parsons. When I was at school I had a dream. I wanted to study at Cambridge University. However, I went to pretty average local state schools and didn’t really know how to study. What I did have was supportive parents and the knowledge that I had to get the top grades if I was going to achieve my ambition. Between year 11 and year 13 I worked out a study system that earned me five A grades at A Level and my place at Cambridge. After a short corporate career I trained to be a teacher and subsequently set up my study skills coaching business and published my book, The Ten Step Guide to Acing Every Exam You Ever Take. An affordable online club for families that will help your child to achieve their grades in the best way for them by giving them a better understanding of the way they work, what motivates them and their ambitions without you having to stress, nag or worry. This club is for both parents and students. Why have I decided to create the club like this? I've seen first-hand that working with whole families is the best way to achieve success. Afterall, everyone in the family needs to be singing from the same hymn-sheet for the tips and advice to work. Parents stop nagging, students started studying and phenomenal exam results follow. The Exam Success Formula helped the communication between me and my son because it gave me the opportunity to discuss issues. My son hates me checking up on homework or anything else but with Lucy’s help I have been able to point out that complete lack of communication on his part leads to anxiety on mine and we have discussed how he can let me know he is covering what's needed without me asking annoying questions! My son's results were stunning and he is so pleased. We know your advice and guidance have set him on the right path and shown him how to tackle even harder exams in the future. Lucy has a real gift for being able to communicate with teenagers. Like many teenagers, he does not always welcome advice from his parents but is much happier listening to suggestions from Lucy! 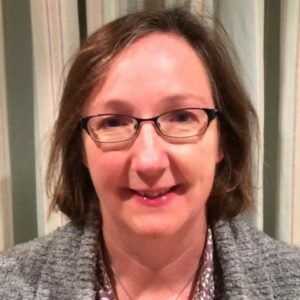 How to Revise GCSE Maths Masterclass with guest teacher, Nichola Cole; Exam Technique Masterclass; A Level Mindset Webinar; A Step-by-Step Guide to Getting the Top Grades webinar recording; Revision Planning Kickstarter recording; and, so much more! Our son was drifting towards his GCSEs with little enthusiasm but after doing The Exam Success Formula, he is more motivated, more organised and has the tools to lead him to success. 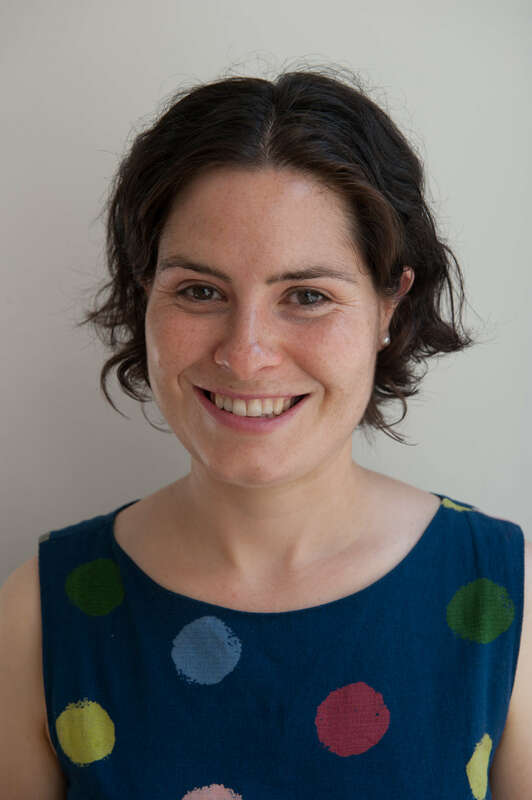 Lucy’s course is amazing and we would recommend it wholeheartedly. Above all, it has been fun to take part and we are a happier family because of it. What Lucy offers in The Extraordinaries Club is much better value for money than tutoring. My son has just received his GCSE results and he’s absolutely delighted. So much of what he learnt from Lucy has helped and in no small part of what I learnt from Lucy helped me support him (particularly not to nag!). Not too late, he realised that if he put the right effort in, in the right way then he’d maximise his time and get the results. Next steps A levels – the Lucy way! These are the ten modules inside The Exam Success Formula. The course will be taught 'live' starting in September and January but you will be able to access the modules, or start the course at any time. Getting organised is the foundation for efficient and effective studying. This week students will set up organisational systems for their time and resources. One of the most common complaints I hear from students is that they 'just can't get motivated to study'. In this module we will tackle this issue head on. Identify their short and long term personal goals so that they know what they're working towards and why they're studying so hard. This goes way deeper than just to 'get a good job' or 'go to uni'. We are aiming to be specific and precise. Time is the most important resource that any of us have at our disposal. If we waste time, it's gone forever. In this week we will think in detail about how to make best use of time to have a life balanced between study, social life and hobbies. Determine their priorities, based on the motivations they uncovered in week 1. Consistency is the basis for any great achievement, whether that's training for the Olympics or getting excellent grades in your exams. This week we will identify the good habits that will support your child to exam success and start putting them into practice. Identify their current good study habits, and the bad ones they need to drop. Track their new habits to embed them in their daily lives. Having a positive attitude towards studying, and understanding that you only achieve great success when you continue to apply yourself when the going gets tough, is vital. This is what we'll cover this week. Great students don't walk out of each lesson thinking, 'Tick, I've done that topic now.' They recognise there is greater depth, breadth and context for them to understand. This week we'll explore how to incorporate the thirst for knowledge into daily, weekly, termly and even yearly life. All successful revision starts with a solid plan. This week you will discover how to create a flexible, personalised revision plan that will continuously serve your child rather than stressing them out! Once a plan is in place revision needs to get done. We will talk about how to actually do revision in a sustainable way and how to avoid the pitfalls of procrastination so that progress is always being made. This week we will cover how to behave and prepare in the last days and hours before an exam. We will also talk about how to cope with two exams in one day, how to cope with a bad exam and how to review exam season once it's all over. One of the questions I get asked most frequently is 'How do you revise?' Schools just don't seem to teach it to their students. In this module I go through many different revision techniques, in detail, so that your child knows how to use them to their full advantage. Learning with Lucy has been such an informative and motivating experience. The biggest benefit for us was the neutral part she played when posing all the questions and initiating the discussions. The weekly content was in concise chunks, so no module was overwhelming and they all led to the most efficient way to plan and revise. There was a lot of scope for your child to personalise their journey and suit their individual learning styles. At every opportunity Lucy was encouraging each child to take the lead in their own life. She is so passionate about their success. I highly recommend this course. Lucy went above and way beyond our expectations during the course and set my son on the correct path for a fulfilling future. The psychological aspects have helped enormously with goal setting, removing resistance and helping him to realise he needs to be organised with his time and has improved his focus. Lucy equipped me not only with tools to help him, but enabled me to enhance our relationship through the whole process with the communication tips. One of the best investments I've ever made. A-M-A-Z-I-N-G! By joining The Extraordinaires Club, working through The Exam Success Formula and making use of all the other resources I am confident that 90% of students won't need any additional one-to-one support. Apart from in very rare circumstances, I will be insisting that students and parents work through the materials in the club before they have any one-to-one sessions with me. I have seen that this is the way to get the best results. The Extraordinaries Club is also the most affordable way to work with me. My one-to-one coaching packages start at £500 for a six week course. As parents we think The Exam Success Formula was fantastic and thought provoking. As a family we learned how to communicate better and have fewer arguments. It empowered our daughter to voluntarily revise for her exams which was unheard of before the course. Her GCSE results are proof the course works, we are delighted! What will you get out of the club? My goal with The Extraordinaries Club is to give your family a sustainable road-map that you can use to help your child to achieve the best grades possible, as well as the ongoing support you need throughout the academic year. Students will have clearly identified their 'why' for taking these exams so that they're deeply motivated to do well. They will also know the grades they need to move on to their favoured next step. Parents will know how to keep them on track to achieve their dreams. Students believe that their understanding and grades will always improve through effort applied in the right way and parents know what language to use to support them and reinforce their positive attitude. Students know how much study they should be doing, when they should be doing it and when they should be resting or having fun so that they get the best grades and maintain their stamina throughout the school year. They also know how to avoid procrastination. Together you will have built an accountability system that works for both of you - without you having to resort to nagging (well, hardly ever). 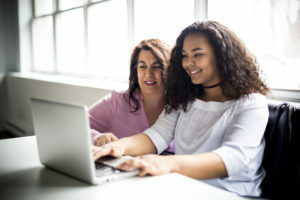 Students have laid their foundation for success over the long-term rather than relying on short-term and very stressful techniques like cramming. Parents will be confident that their consistent effort will pay dividends in the exam hall so that you don't have to worry so much. And, maybe, students will have even fallen in love with some of them so that studying becomes a pleasure rather than a chore. As a parent, you will be able to share in their accumulation of knowledge and understanding through experiences and discussion. They will have identified, and have the tools to continuously identify, the revision techniques that are working for them, and have the confidence to change things that aren't working. You will be able to stop worrying that they're doing things incorrectly because you have confidence in the revision process that they're going through. You will also know how you can most effectively help them with their revision and when to get out of the way. Students will stop the overwhelm and increase the efficiency and effectiveness of their revision by always knowing where they should be focusing their attention. Parents will easily be able to communicate with them about where they're at in their revision so that you know they're on target. By understanding their own rhythms of concentration and how to re-energise themselves students will be able to prepare for exams in a happy and healthy way. Parents will be able to keep them on track with the nutritional and emotional support that they need. Students will have the confidence to efficiently and effectively use them to prepare for their exams and continuously see improvements in their attainment. You will be able to help them to reflect on their progress and focus on remaining areas of weakness. So that students can improve their revision and exam preparation year after year and continuously get better results. Parents will be able to support them with these review activities and hold them accountable to their insights. And, that you, as a parent, are fully prepared to support your son or daughter every step of the way, without the nagging, melt-downs and confusion that are typical of many families in exam season. My goal is essentially to bring you and your child closer together so that you're a united team throughout the exams, and you're both stronger and happier as a result. We realised that due to the stresses and anxiety that exams bring, our relationship with our son was deteriorating and we needed an intervention. This is where we researched and sourced outside help and found Lucy and The Extraordinaries Club. Lucy discusses and guides us in our approach towards our son’s learning, how we communicate with him and how to ask the right questions. Good practical advice is given which works. The club has a great supporting community. We still get caught up by the situation and through the coaching sessions can discuss, come up with a plan and gain confidence that we are supporting him in the way that he needs. Our son felt very lost in the challenge of revising and exam preparation. The Extraordinaries Club gives him the chance to realise that he is not the only person thinking and feeling this. Lucy discusses strategies and provides workshops which aids his learning. He felt that he would only just pass his English Literature and was awarded a grade 7 in his recent mock exams, a fantastic achievement for someone who believed they were never going to be any good at English. What's the price of not just feeling, but knowing, that you and your son or daughter are confident and in control in revision and exam season? Having seen the stress, doubt and fear that many people encounter when faced with exams, I know I wouldn't want to be in their position. I never felt like that. I always felt calm and confident when I went into exams, and my clients feel the same. This is all down to the right kind of preparation. You can have this, and the future prospects that great grades open up, when you join The Extraordinaries Club. In just two months my son has more direction and he feels he is becoming better prepared and more confident as he gains the necessary tools required to study more effectively. My son now has strategies in place to become more organised and to manage his time better. If he starts to veer away from these then he can revisit the videos, blogs and even the Coaching Calls to help get back on track and keep motivated to reaching his goal. As the Extraordinaries Club is aimed at both parents and students we are now both singing off the same sheet - whereas before this wasn't the case. I also know that if it was just me making the suggestions and giving him advice he wouldn't take it seriously. Lucy has a way of engaging with the students and they do listen. 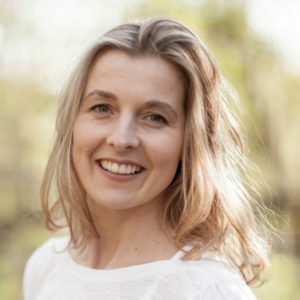 As a parent I feel that Lucy genuinely does care about how well our children perform and she is passionate about delivering the different methods and coping strategies to them. Having just attended the first Year 11 Parent's Evening, I can honestly say that it felt as though we were discussing a completely different boy from the one we had at the end of Year 10. Stop the guessing game. Use tried and tested study strategies that work and take the stress and anxiety out of supporting your child to reach their potential. What is the best age or stage to join The Extraordinaries Club? The club is aimed at students, and their parents, who are studying for either their GCSEs or A Levels. That means that families with students in years 10-13 are ideal for the course. Really, the sooner you join within this time frame the better - this will mean that you and your child have all the tools and techniques you need to get through their course of study successfully. Can you guarantee my child's grades? No, I can't guarantee your child's grades. For one thing, I can't compel them to do the work. For another thing, I can't control what's on the exam papers they sit or how their work is marked. However, I can promise that if you both work through all the course materials and consistently use the study skills strategies and tactics I teach they will maximise their chances of success. Click on one of the big pink sign-up or join buttons on this page and make your payment. Please input your details as a parent, rather than a student. Once you've signed up you will be able to add up to four other members of your family to your membership free of charge. What happens straight after I've signed up? You will receive an email confirmation from me and another with instructions about how to start your membership of the club. You will also have immediate access to the website so that you can start making use of the resource straight away! Do I have to pay for each member of my family? No! When you join you will be able to add up to four other members of your family to the club for free - so you get five memberships for the price that you pay. It's up to you whether you add other adults or children. Whenever you cancel your subscription all the people attached to your subscription will also lose their memberships. What happens if me and my child can't make full use of the materials? My goal is to make the time commitment for the club as manageable as possible. When you sign-up to the club the first thing I encourage you to do is work through The Exam Success Formula, my flagship study skills course for parents and students. There are nine modules and you should plan to do one module per week. You need to be able to commit an hour every week to watching the videos and completing the weekly tasks. In addition, during alternate weeks there will be a group coaching call that will be really beneficial for you to come along to. The coaching calls will be on Thursday evenings at 7:45pm. I will also be providing other workshops, masterclasses and sessions with experts other than myself. It's up to you whether you come along to these or not - it depends whether you need them at the time. Recordings will always be available on demand inside the club if you're not able to make it live, or would prefer to watch it when you have a greater need. Of course, sometimes life gets in the way and some weeks you might find you're not able to give the same amount of time to the club. That's fine - just pick up again where you left off! When can I sign up for The Extraordinaries Club? You can sign-up at any time, but the price will increase at 9 pm on 21st September 2018 at the end of the official launch period of the club. What if the club isn't right for you or your child? By law, you have a fourteen day cooling off period. If you notify me that the club isn't right for you during this time I will give a full or partial refund (see the terms and conditions for details). If you have a monthly membership you can stop your subscription, or pause it, at any time. If you have an annual subscription you may be entitled to a partial refund, see the terms and conditions for details. How different is the club to your book, The Ten Step Guide to Acing Every Exam You Ever Take? You get my personal input inside the club - you can ask me questions on the coaching calls and in the community. The book is a one way experience. The method of delivery is different - the club is a multimedia experience, whereas the book is just reading! The focus of the club will be on thinking and doing, rather than reading. It's action orientated to get real results. 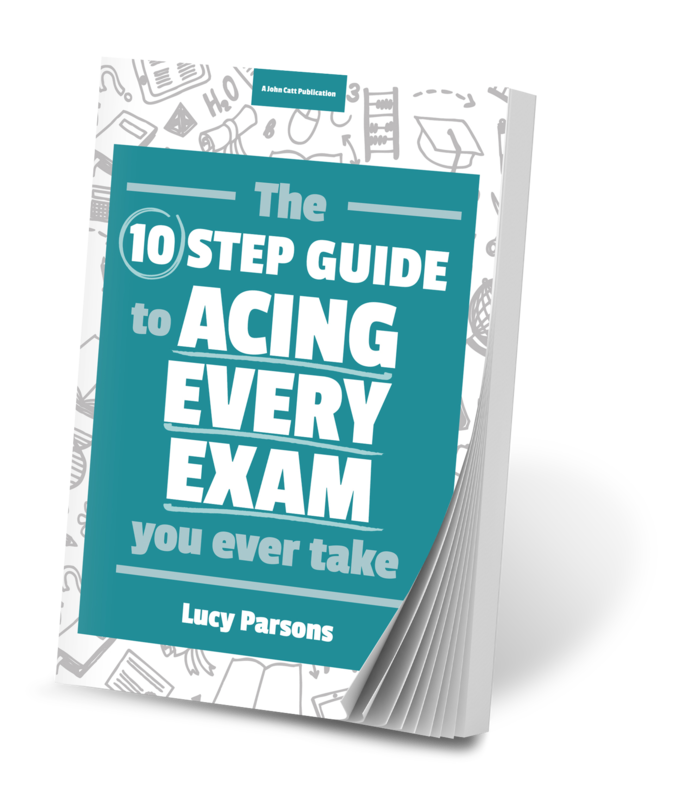 All that being said, having a copy of The Ten Step Guide to Acing Every Exam You Ever Take would be an ideal accompaniment to the course. The Extraordinaries Club has helped us put a structured routine in place for our son so that he is doing revision every day. My son is now more organised and I don't have to push him into anything - he's so much more focused. In a recent report he had some excellent grades that really pleasantly surprised us. Working with Lucy for a year and a half taught me skills I will use right through university. I learned to manage my time, stay focused and prioritise. Lucy helped me structure and tailor my lifestyle to make the most out of my studying, even when things got tricky. I learned a lot from Lucy about consistency, and she helped me to get through the times of the year when it is easy to lose focus. Somehow she managed to help with broader study and life skills, as well as very particular, specific problems. I don't think I'd have the grades I do to my name today without Lucy's support. Lucy helped me not only to get the most out of academic life, but to improve my leisure time too. I learned how to keep calm and be completely in control of my workload all year round. I will use the techniques she taught me far into the future, and some well beyond the classroom. She always believes in me and encourages me, but is nonetheless firm and frank. 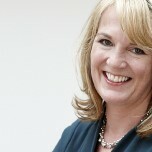 I am proud to have worked with Lucy and that she took a gamble on me as her first client.